The wisdom of this observation is borne out by empirical evidence demonstrating that so-called “authoritative” sources of medical information are thoroughly corrupted not only by industry manipulation but by government officials, and biased, financially conflicted academic gatekeepers of medical science — i.e., “expert panels” and journal editors. The most lucrative areas of medicine are the most corrupted by financial conflicts of interest. Our recent focus continues to be the untouchable subject; namely, the largely corrupted vaccine information base. The history of vaccines has been fashioned by eradicating inconvenient historical facts. For me, the most troubling aspect of the corrupting influence of the powerful vaccine lobby is its apparent success in having averted the focus of the medical profession and academia: from the spiraling number of vaccine-injured children whose existence these authorities deny. However, evidence of their existence is demonstrated by the fraction of those who have been compensated by The U.S. 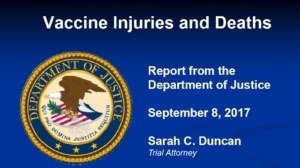 Vaccine Injury Compensation Program (VICP). Of these, 1,236 had died. The following deaths (double-digit or greater) include: 696 deaths attributed to DTP vaccine; 129 deaths due to the flu vaccine; 81 deaths due to DTaP; 61 deaths due to MMR; 57 deaths due to Hepatitis B; 32 deaths due to DTaP-Hep BIPV; 28 deaths due to OPV (polio) vaccine; 14 deaths due to HPV. Public trust in professed authoritative sources for information about vaccine safety has evaporated because the “authoritative” government and non-government agencies have consistently misrepresented the safety data. Internal documents, obtained over the years through FOIA requests, have uncovered the concealed evidence that government officials eliminated damning vaccine safety data from the vaccine information base. (1) The latest uncovered layer of corruption in the professional sources of medical information was reported by Retraction Watch (November 2017). A study by Victoria Wong at The Queens Medical Center in Hawaii, reports that two-thirds of “top tier” medical journal editors are receiving kickbacks from drug/vaccine manufacturers. The study included complete Open Payments data (2013 to 2016) for editors of the top five journals from each of seven disciplines. The study found that within each medical specialty, editors received more in payments from industry than the average doctor; there were wide ranges as to the amounts. It appears that these gatekeepers of science failed not only to comply with disclosure standards that they demand of authors of scientific studies, journal editors fail to adopt any professional guidelines to prevent blatant financial conflicts of interest from corrupting the medical literature. 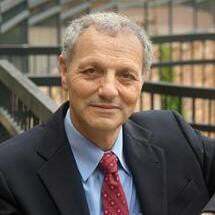 Among the numerous examples of corrupted science that can be attributed to the illegitimate intervention by journal editors who are financially tied to pharmaceutical companies, is the case of an Israeli study headed by Dr. Yehuda Shoenfeld, an internationally acknowledged, foremost expert on autoimmune disorders. (2) The Shoenfeld study, Behavioral Abnormalities In Young Female Mice Following Administration Of Aluminum Adjuvants And The Human Papillomavirus (HPV) Vaccine Gardasil, was first submitted to the Journal of Human Immunology where it languished for 8 months and was then rejected by the editor-in-chief, Dr. Racke. According to the American Academy of Neurology, Dr. Racke received personal compensation from EMD Serono, a subsidiary of Merck, the manufacturer of one of the HPV vaccine. 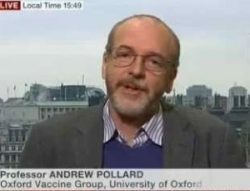 The article was then published in the journal Vaccine (January 2016), until it was summarily withdrawn by that journal’s editor-in-chief, Dr. Gregory Poland, who is chairman of Merck’s safety evaluation committee for vaccine trials. 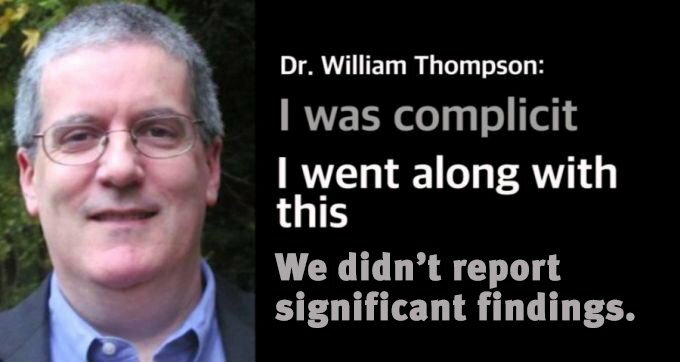 Not only were there no protests of foul play from members of the medical academic community, the rejections by the editors were used as ammunition, by cyber hit-squads to tarnish some of the scientists who authored the report. Dr. Peter Aaby established the Bandim Health Project, a Health and Demographic Surveillance System site in Guinea-Bissau in West Africa, which he has run ever since. In 2000, he was awarded the Novo Nordisk Prize, the most important Danish award within health research. (4) An article by Peter Doshi in the BMJ, “The Unofficial Vaccine Educators: Are CDC Funded Non-Profits Sufficiently Independent”? (November 2017) sheds light on “the tangled [opaque] financial relations between CDC, vaccine manufacturers, and vaccine advocacy organizations”. Immunization Action Coalition lists vaccine manufacturers AstraZeneca, GlaxoSmithKline, Merck Sharp and Dohme, Pfizer, Sanofi Pasteur, and Seqirus among its “supporters and partners.” And IAC received over $2 million from CDC. Every Child By Two received over $800,000 from non-government sources and between $220,000 and $275,000 from CDC. American Academy of Pediatrics’ recent tax filings indicate lists GlaxoSmithKline, MedImmune, Merck, Pfizer, Sanofi Pasteur, and Sequirus – Mead Johnson Nutrition, Merck, Nestle and Pfizer provided at least $1 million. The US government provided $16 million. Since 2009, AAP acknowledges, CDC provided $20 million. 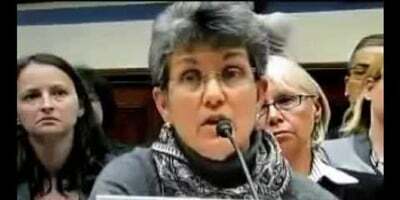 The aim of these three vaccine-lobbying promotional organizations is “to increase the federal government’s budget to keep up with the rising cost of the growing vaccination schedule.” (See CDC 2017 Recommended Schedule Birth through 6) These “advocacy” organizations also actively lobby in support of dictatorial compulsory vaccination policies that would eliminate non-medical, philosophical and religious vaccination exemptions. (5) Elizabeth Hart pointed out (in a BMJ “rapid response”) to Doshi’s article, that there are far deeper underlying corporate/political forces that dominate global vaccination policy. Thanks to their non-governmental status, as (so-called) “non-profits” they are able to brush off requests for disclosure about the source of their money. Hart points out that ECBT was founded by Former First Lady Rosalynn Carter and Former First Lady of Arkansas, Betty Bumpers; ECBT was also helped financially by the Clinton administration. Tax-exempt foundations, such as the Carter Foundation, the Clinton Foundation, the Bill and Melinda Gates Foundation, and many more — are closely tied to the pharmaceutical industry, serving as propaganda conduits. They have been instrumental in promoting aggressive vaccination policies that have generated a vastly lucrative global market for vaccines. According to a MarketsAndMarkets Press Release: the vaccine market generated $34 billion in 2017; it is expected to increase to $49 billion by 2022. “I first alerted officials about the problem a month ago on April 25. When the problem persisted for three more weeks, I decided to write about it for The BMJ, where I work. The website remains misconfigured today, on day 28 (at least; I only know when I discovered the problem, not when the problem actually started). It is chilling to bear witness how an educated class of professionals have abandoned their moral compass and discarded intellectual integrity, by accepting, as they do, the dogma dictated by collaborating vaccine stakeholders, who declare themselves to be “authorities”. “scientific consensus on vaccines“, she says, should convince the public to accept the flu shot, and “also childhood vaccines and vaccines for older adults, such as shingles“. “Consensus statements earn their legitimacy through rigorous debate and scrutiny by expert communities of scientists. The methods include the negotiation of conflicting views in academic conference settings and in expert journals, peer review and the replication of findings”. In my compilation, Betrayal of Public Trust & Institutional Corruption: Vaccine Safety Ratings & Vaccine Science Falsified, I focus on the hijacking of vaccine “science” by stakeholders in the business of vaccines, who effectively control the content of information regarding vaccines, and the channels for disseminating filtered promotional information — in both professional journals, the mass media and the internet. Indeed, the BMJ has partnerships with both Merck and GlaxoSmithKline. The latter has also formed a partnership with GOOGLE. These partnerships and multiple collaborating consortia were established to ensure that the public is continuously reassured that vaccines are proven “safe and effective“, and vaccines are the best defense against infectious disease. For decades medical “authorities” recommended that women take hormone replacement assuring them that HRT was safe and protected long-term health. That widely adopted standard of care turned out to be wrong. In the largest clinical trial to date, a combination estrogen-progestin pill (Prempro) was found to increase the risk of serious conditions, including *Heart disease *Stroke *Blood clots and *Breast cancer. The US Food and Drug Administration (FDA) is a vital public agency. It is responsible for ensuring the safety of the foods we eat and many of the medical treatments we receive, and thereby regulates about a quarter of the nation’s domestic economy. I strongly believe in the FDA’s mission, and respect the many FDA employees who are dedicated to carrying it out. CDER also does not fulfill its obligation to oversee the marketing of prescription drugs, thus permitting misleading drug ads and illegal practices such as drug companies inducing doctors to prescribe drugs for uses that have not been approved by the FDA. Although nearly every major drug company has paid enormous fines to settle charges of illegal marketing (Pfizer’s recent $2.3 billion fine—for illegally promoting its painkiller Bextra and three other drugs—is the current record), they evidently consider the fines the cost of doing business, since the same practices keep recurring with little interference from CDER. Americans use enormous amounts of prescription drugs. According to the Kaiser Family Foundation, 3.9 billion drug prescriptions were filled in the US in 2009, an average of 12.6 per person. Most people over age sixty-five take at least three prescription medications daily. Since the FDA is what stands between the public and an aggressive, profit-driven industry, its independence from the industry it regulates is of fundamental importance. This is not an issue that receives much attention from Daniel Carpenter in his imposing new book, Reputation and Power: Organizational Image and Pharmaceutical Regulation at the FDA, nor does the related question of whether CDER is doing its job of ensuring that the drugs we take in such huge quantities are really safe and effective. Instead, Carpenter, a professor of government at Harvard, spends 752 dense, exhaustively documented pages telling the reader virtually everything else about the FDA—its history, procedures, personalities, and politics. Like much academic work on public and social policy, it strives to be impartial. But it sees complexity even when it is not there (some things about the FDA are quite simple), and it remains oddly aloof from the issues that most matter.2 Its main value is as a reference work. Here I’ll discuss the problem that Carpenter largely neglects—how to ensure that CDER, free of industry influence, protects the public from unsafe and useless drugs…..
Dioxin is stored in fat. The study measured dioxin levels in serum. Given the CDC’s failure to detect evidence for increased exposure in the 1980s, the ill-posed study was initially used as justification for no further science on the possible effects of exposure. Human Resources and Intergovernmental Relations Subcommittee, US House of Representatives: The Agent Orange Coverup: A Case of Flawed Science and Political Manipulation. 101st Congress, 2d Session, House Report №101–672. Washington, DC: Govt Printing Office, 1990. (5) DeStefano has participated in other publications in which he outlines how association studies should be conducted. He says that covariates must be “corrected for”, and that finding covariates that cause associations between vaccination and adverse events to disappear after the association is first found and then lost due to such corrections somehow exonerates vaccines. This is poppycock. If birth weight, mother’s age, mother’s income, gestational age, etc. cause a loss of significance of vaccination status, the correct model selection procedure is to look for interactions between vaccines and the covariates — especially because they can be functionally related to adverse events from vaccines. If the interaction terms are significant (which could easily be, given that mother’s income, age, gestational age, and birthweight may all correlate to nutritional status), the result is pointing to covariates that make vaccination an increased risk. 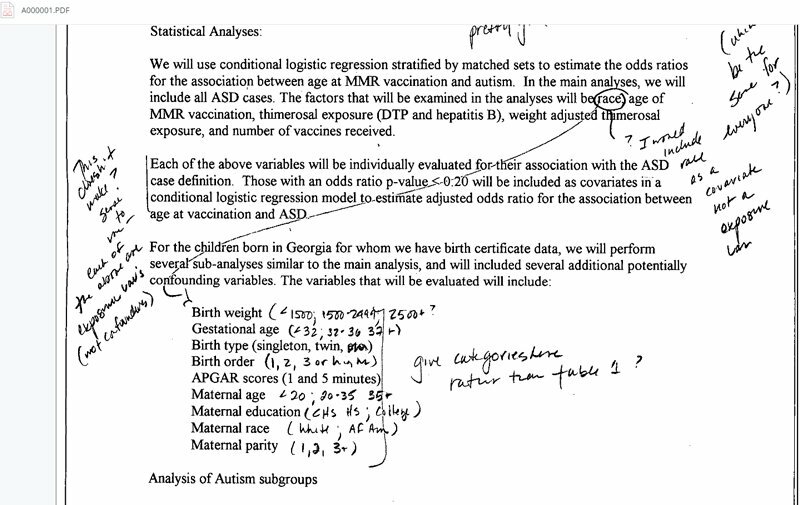 This is elementary linear modeling, and any studies that “correct for” covariates without also studying, and reporting, the interaction terms is hiding the effects of vaccines interacting with other variables. Illegal migrants are being provided with guidebooks published by a George Soros front group, Hungary’s chief security advisor has told state media. According to György Bakondi, an unnamed German civil society organization (NGO) has been supplying literature to migrants that instructs them on the best methods and pathways for reaching European soil, as well as directions how to deceive authorities and elude border security systems…. First they totally destroy their homelands, then they shepherd the refugees to destroy the homelands of those who paid for it. Is this organized crime or what? The Central Bank of Russia (CBR) boosted its holdings of gold by almost 20 metric tons last month, with reserves reaching 1,857 tons. It has increased its holdings every month since March 2015. Russia is now among the top five gold holders after surpassing China, which reportedly holds 1,843 tons. Over the last 15 years, Moscow and Beijing have been aggressively accumulating gold reserves to cut their dependence on the US dollar. “Interestingly, both Russia and China publicize and promote their accumulations of gold and publicly refer to gold as a strategic monetary asset. They make no secret of this. But on the flipside, the US does the opposite, and constantly downplays the strategic role of gold,” Singapore’s BullionStar precious metals expert Ronan Manly told RT in December. The US claims to be the largest holder of gold with 8,134 tons, but according to Manly, that number is impossible to verify. “The entire story around the US gold reserves is opaque and secretive. There has never been a full independent audit of the US gold reserves, and the custodians of the gold, the US Mint and the Federal Reserve of New York, will not let anybody into the vaults to view the gold or to count it,” Manly told RT…. Could this be the answer to FBI Director Chris Wray’s call for broken device encryption? Big, if true, but not exactly the answer Wray, and others like him, are seeking. Cellebrite claims it can crack any Apple device, including Apple’s latest iPhone. This is a boon for law enforcement, as long as they have the money to spend on it and the time to send the device to Cellebrite to crack it. It won’t scale because it can’t. The FBI claims it has thousands of locked devices — not all of them Apple products — and no one from Cellebrite is promising fast turnaround times. Even if it was low-cost and relatively scalable, it’s unlikely to keep Wray from pushing for a government mandate. Whatever flaw in the architecture is being exploited by Cellebrite is likely to be patched up by Apple as soon as it can figure out the company’s attack vector. And, ultimately, the fact that it doesn’t scale isn’t something to worry about (though the FBI doubtless will). No one said investigating criminal activity was supposed to easy and, in fact, a handful of Constitutional amendments are in place to slow law enforcement’s roll to prevent the steamrolling of US citizens…. What about israeli intelligence’s ability to wiretap american citizens? How long have they known how to do this? The task for a modern industrial society is to achieve what is now technically realizable, namely, a society which is really based on free voluntary participation of people who produce and create, live their lives freely within institutions they control, and with limited hierarchical structures, possibly none at all.